Save the date! EKU Aviation is pleased to announce its 2018 Annual Career Day. On Friday, April 13, 2018, EKU Aviation students will be dressed to impress and ready to interview. The program will host a day of interviews and networking with aviation industry professionals from around the country. High school students from the region are also welcome at the event to interact with EKU's 200 flight and management students. The event features speakers throughout the day who are industry leaders and represent a variety of aviation careers and organizations. Airlines, airports, consultants, and more from across the state and region will be on hand to network and share opportunities for careers in their organizations. Each year, EKU students are interviewed by regional airline recruiters for First Officer pilot positions, which really highlights EKU Aviation achievements and successes. EKU's partnership with regional airlines gives professional flight students the opportunity to begin airline interviews during their junior year. These carriers include airlines such as ExpressJet and Envoy Airlines. Many have “pathway programs” to not only offer guaranteed interviews, but to also offer guaranteed jobs after graduation. 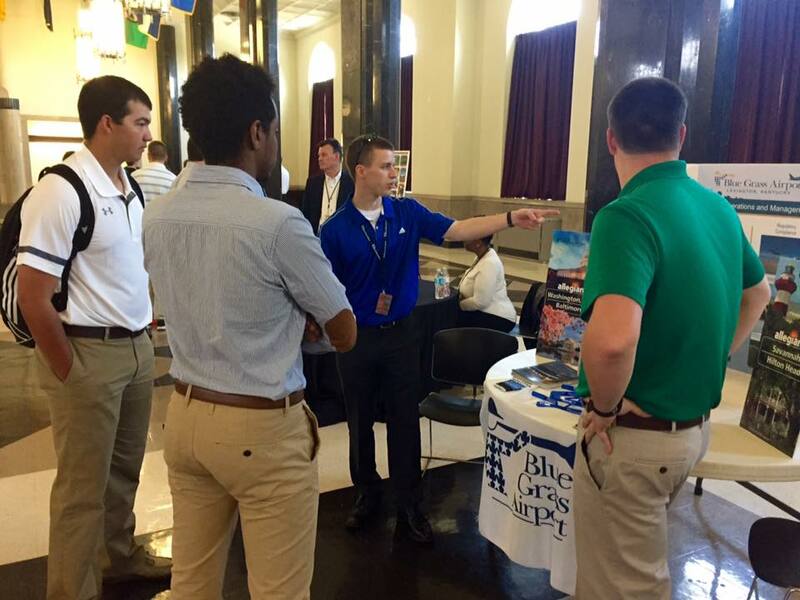 Aerospace Management students will also have the opportunity to network with a variety of industry representatives. Last year’s event showcased careers in airport operations, aviation consulting, and airport management including several exhibitors who were alums of the Aviation program from across the country. The Kentucky Aviation Association (KAA), Kentucky Department of Aviation, and the Federal Aviation Administration (FAA) have also participated in previous events. While open to all EKU Aviation majors, the day will also satisfy the BTS 400 - College to Careers Seminar requirement for graduating seniors. Graduating seniors must register for the departmental BTS 400 session in EKU Direct for the spring 2018 semester. The event is scheduled from 9:00 a.m. to 3:00 pm on EKU's main campus. For more information on how to participate, contact Joe Marthaler at joe.marthaler@eku.edu or Kyle Knezevich at kyle.knezevich@eku.edu. Find out more about EKU Aviation at http://aviation.eku.edu.